The dates for the 2018 Turner Classic Film Festival (TCMFF) have been announced: April 26 – April 29. The 2018 theme will be Powerful Words: The Page Onscreen. Passes for the 2018 TCM Classic Film Festival will go on sale in November 2017. Passes are limited, especially the top-level (and priced) “Spotlight” passes. The “Spotlight” Festival Pass: $2,149 – Includes all privileges available to “Classic” and “Essential” passholders, priority entry to all screening events; plus entry to the Opening Night Gala party; meet-and-greet events with TCM hosts and special guests, and a limited edition TCM Classic Film Festival poster. The “Essential” Festival Pass: $799 – Includes all privileges available to “Classic” passholders, plus entry to the Opening Night Red Carpet Gala screening at TCL Chinese Theatre and official TCM Classic Film Festival collectibles. The “Classic” Festival Pass: $649 – Includes four-day access to film programs at all festival venues Thursday, April 26 – Sunday, April 29 (does not include admittance to the Opening Night Red Carpet Gala screening at TCL Chinese Theatre or the opening night party); access to all Club TCM events, panels and poolside screenings at the Hollywood Roosevelt Hotel; an opening night welcome reception at the Hollywood Roosevelt Hotel; and the closing night event. 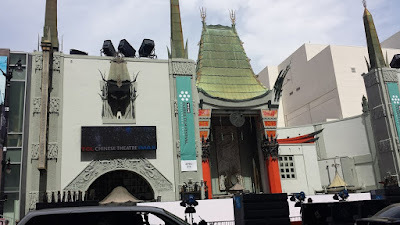 The “Palace” Festival Pass: $299 – Includes three-day access to screenings at three historic venues, Friday, April 27 – Sunday, April 29 : the TCL Chinese Theatre (excluding the Opening Night Red Carpet Gala), the Egyptian Theatre, and poolside screenings at the Hollywood Roosevelt Hotel. Note: This pass does not grant entry to the TCL Chinese 6 Theatres multiplex, Club TCM events or official parties and receptions. 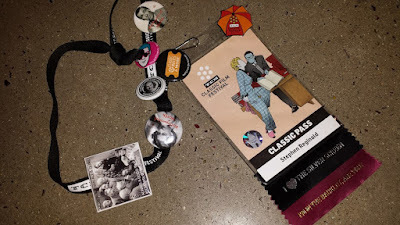 Editor’s note: The “Classic” pass is the one I have gotten the past three years. It gets you into just about everything except the Thursday Opening Night Red Carpet Gala. I think it’s the best value for the money. For helpful hints for those attending their first TCM Classic Film Festival, check out the link here.